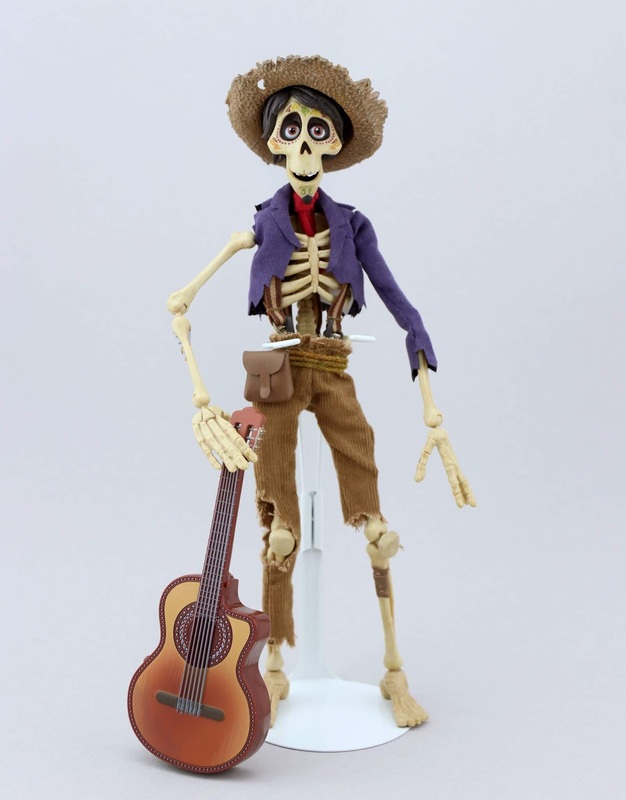 One week ago today, we celebrated the one year anniversary of Pixar's Coco. I honestly can't believe it's been that long already! I meant to get this post up then, but of course with the Thanksgiving holiday last week as well, things got real busy. 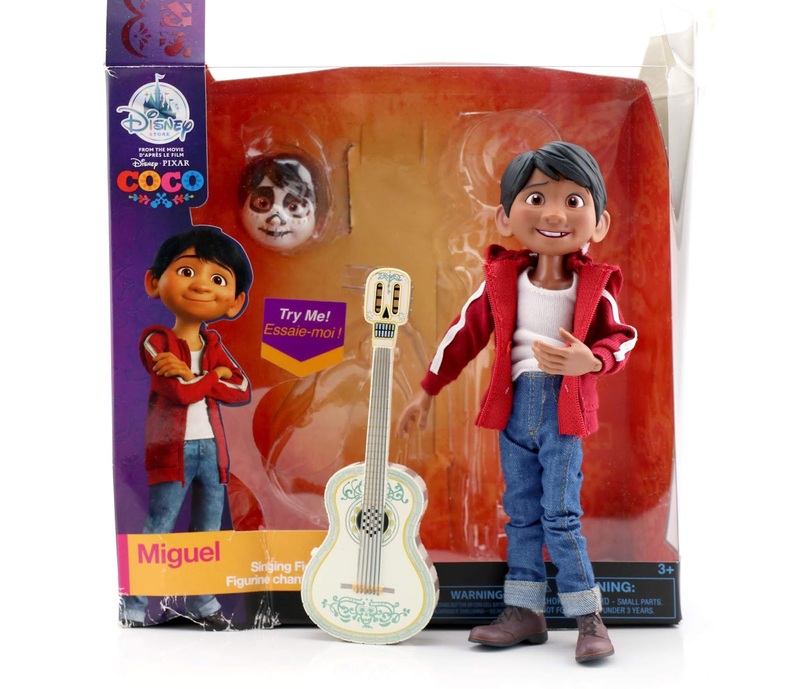 I'm honoring the film today with a couple of my favorite pieces of Coco merch released last year—the Hector and Miguel Singing Figures from the Disney Store! I've been meaning to do a review on these all year, so I'm really happy to finally get to it. The Disney Store usually puts out some pretty good stuff each year, but these might be some of the best things I've seen released there in some time. There's something really special about them, like they just don't seem as mass produced as usual (even though they are). The detail on these figures, the fabric clothes, the sculpts/character likenesses, the paint, the super articulation, the overall quality...they're almost perfect! It's like these characters walked right out of the movie screen. Let's start with the sizes. 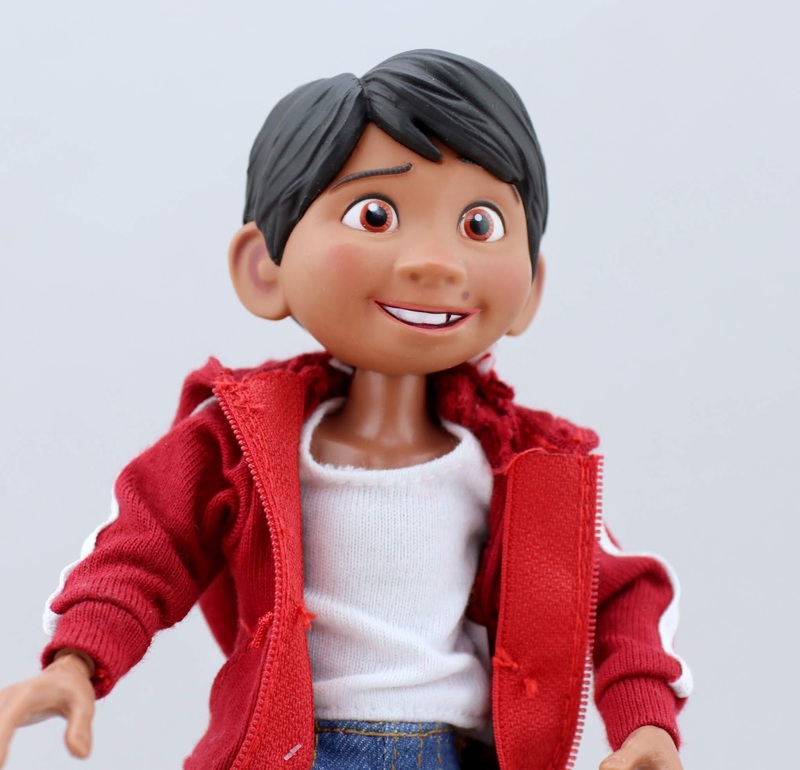 Hector is right under 11" tall and is Miguel right under 8" tall. Both originally retailed for $29.95. Interestingly enough, once the film came out and people were clamoring for toys based on these characters, these sold out VERY fast. 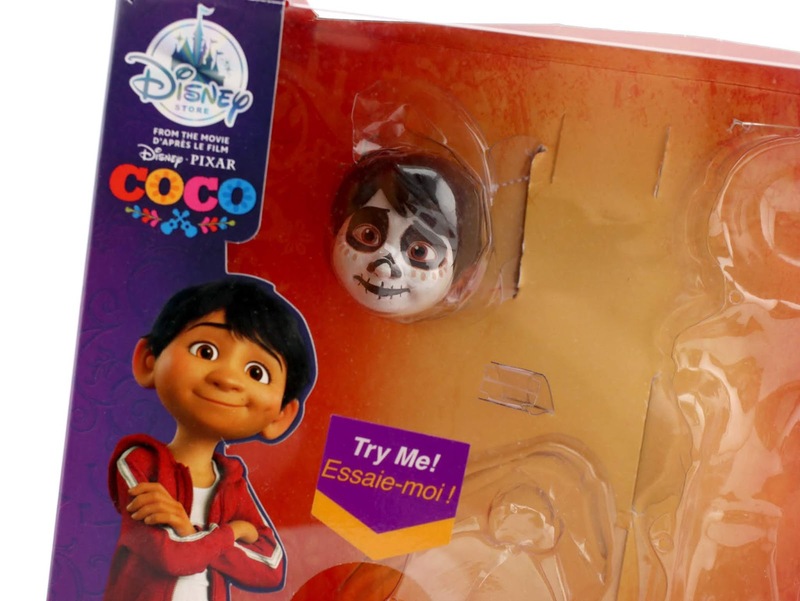 By January or February this year (2 months after the film was released), they were sold out online and [mostly] in stores. Around mid February, I looked them up online and realized they were already selling for over $150 together on eBay. I couldn't believe it! 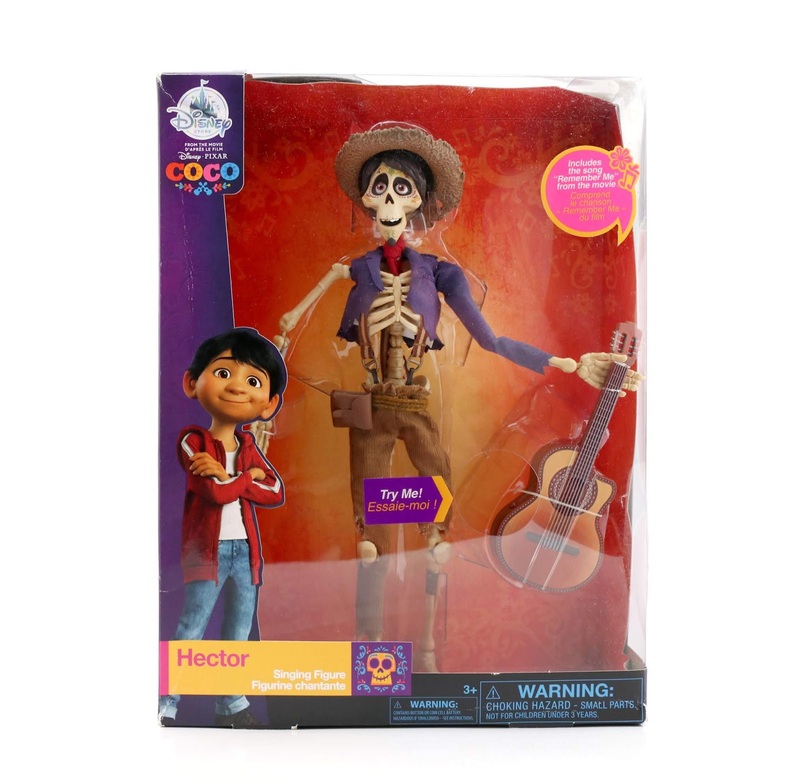 Luckily there was ONE Hector left at my Disney store (it's why his box here is not very mint) and ONE Miguel (which was the one they unboxed and used in the Disney Store display case; luckily they had the package and all the pieces still and let me buy it—you'll notice that Miguel is out of his box in the pictures below and that's why). Man was I lucky. I snatched those up so quickly once I realized. It's strange, you never know which products will sell out quick and become super rare. Most of the time, there are seemingly endless quantities of a given item being shipped to the store. You know they'll sit around for a long time and eventually go on sale. And then sometimes (like in this case) it's one shipment and done. I assumed these would sit around for a long time, we would get a ton more and they would go to clearance after a few months (that's why it took so long for me to buy them). That obviously never happened. I'm so glad I acted when I did though. Rule of thumb: if you like it, buy it. It could be gone the next time you check and it's better to be safe then sorry. Sometimes sales never happen and then you miss out altogether. Anyway, let's get to checking out these figures in detail! They are absolutely beautiful. 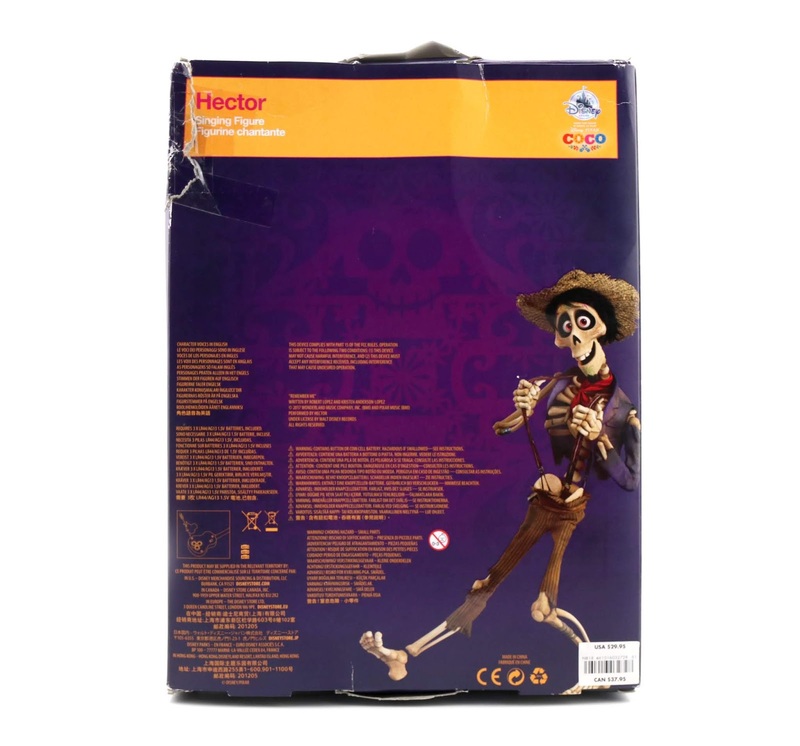 Here's Hector out of his box. I got a three pack of Kaiser doll stands that work perfect with these (I'll link the exact ones I bought down below). While you can get him to stand up fine on his own, he's pretty precarious with all that articulation (plus how tall he is). If you're a collector getting this figure for display, I totally recommend getting a stand. Same goes for Miguel. One thing I wanted to note before moving on is, though the packaging states these are "singing figures", the figures themselves don't actually sing. The music comes through their guitars by pressing a button. Hector's guitar play the lullaby version of "Remember Me", which is beautifully somber. His hat is removable and he can be posed in countless ways (he has more points of articulation than I can even count). 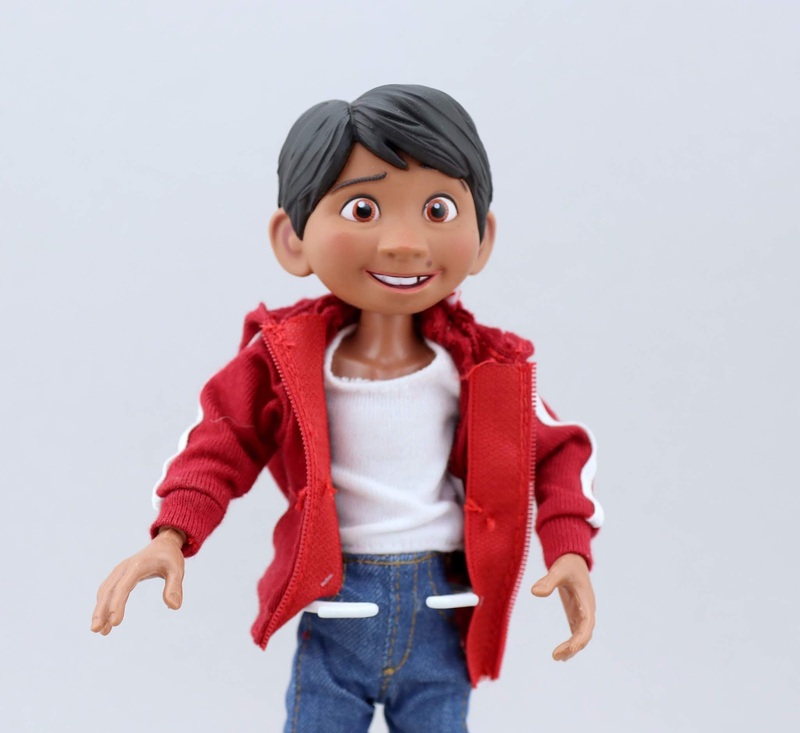 Now onto Miguel, another incredibly sculpted figure. 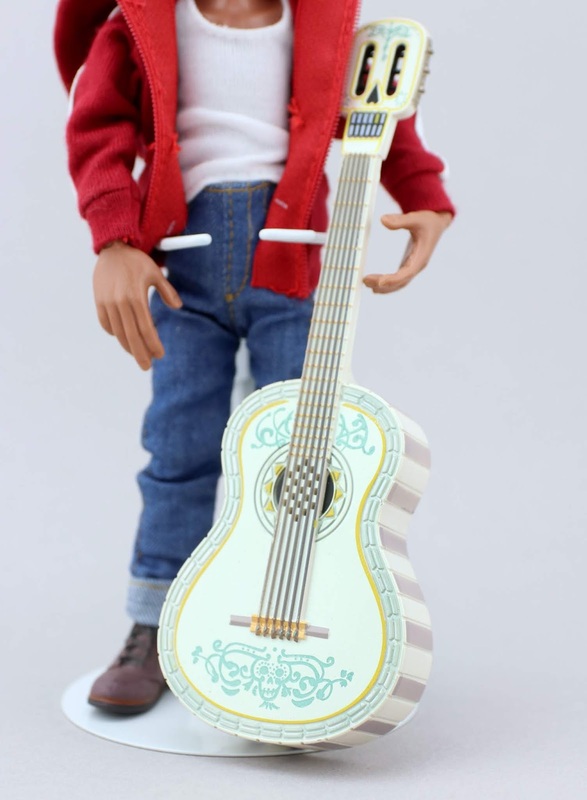 His guitar plays two songs: "The World Es Mi Familia" and "Un Poco Loco". 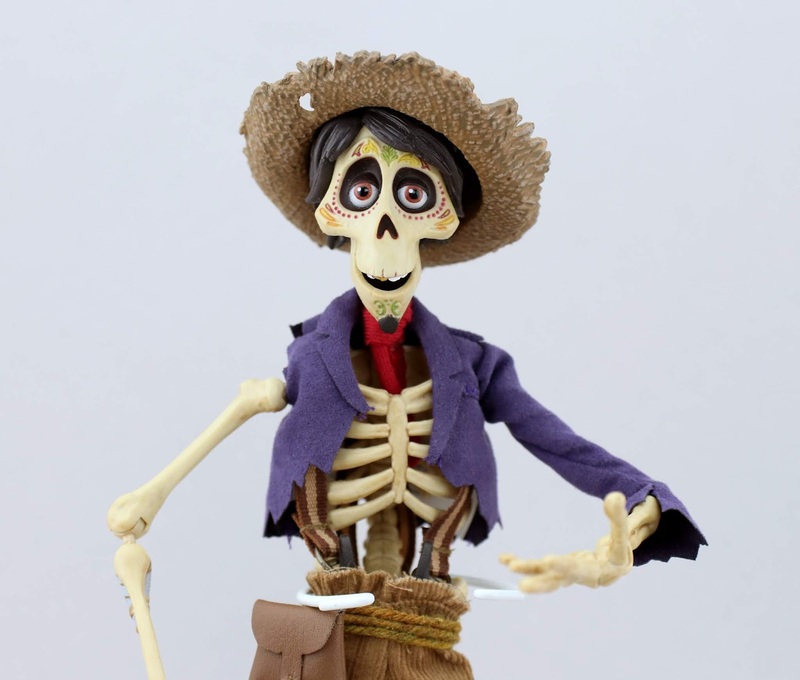 He also comes with two interchangeable heads, his normal face and one with his land of the dead skeleton makeup. One negative thing I have to note is that the packaging is very misleading. 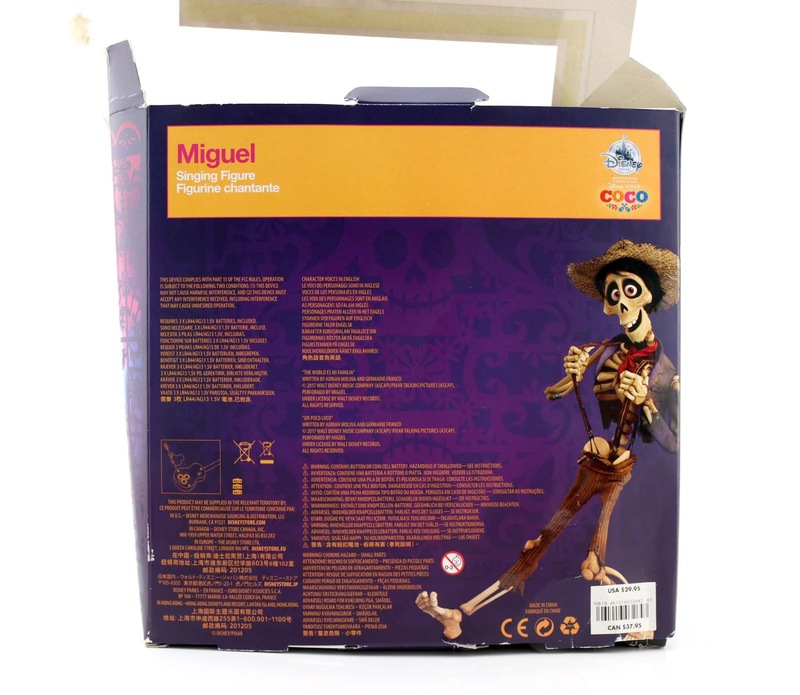 The box says that the guitar will play a different song depending on which head you put on Miguel's body, but the heads actually have nothing to do with it. 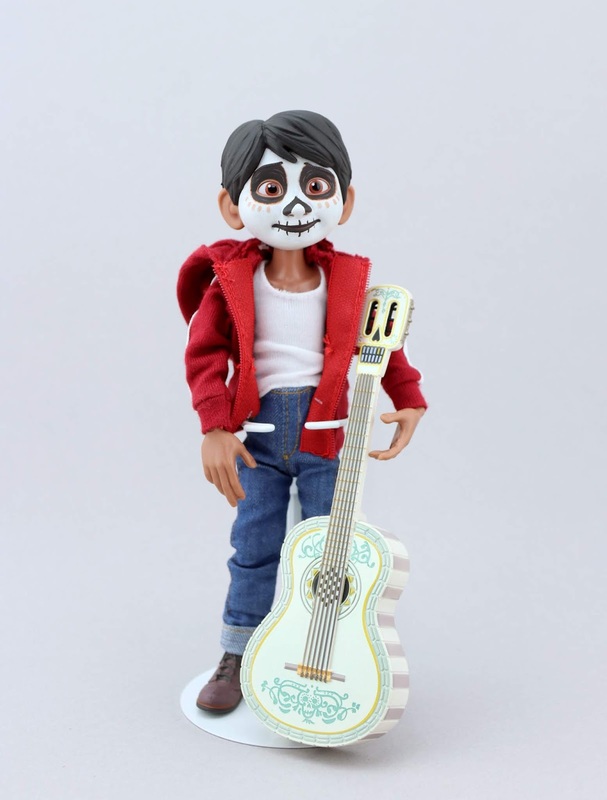 According to the directions, it should play "The World Es Mi Familia" with his regular head on and "Un Poco Loco" with his skeleton head on. This feature does not work. 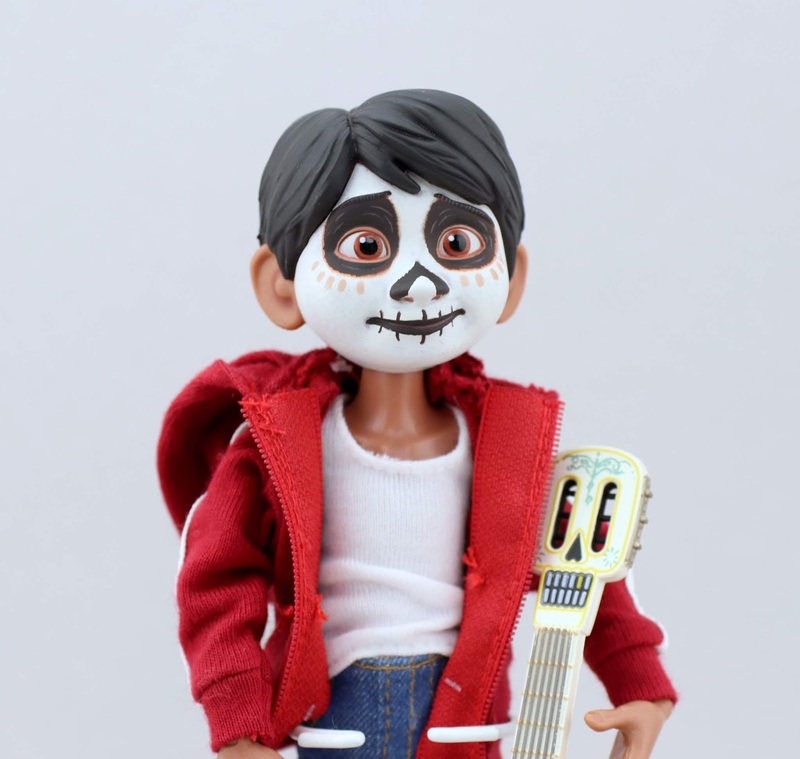 The way to get the guitar to play "Un Poco Loco" ("The World Es Mi Familia" is the default song) is by placing it close to Miguel's chest on his upper left side (there must be some connection point or magnet in there somewhere). It took me a long time to figure this out. 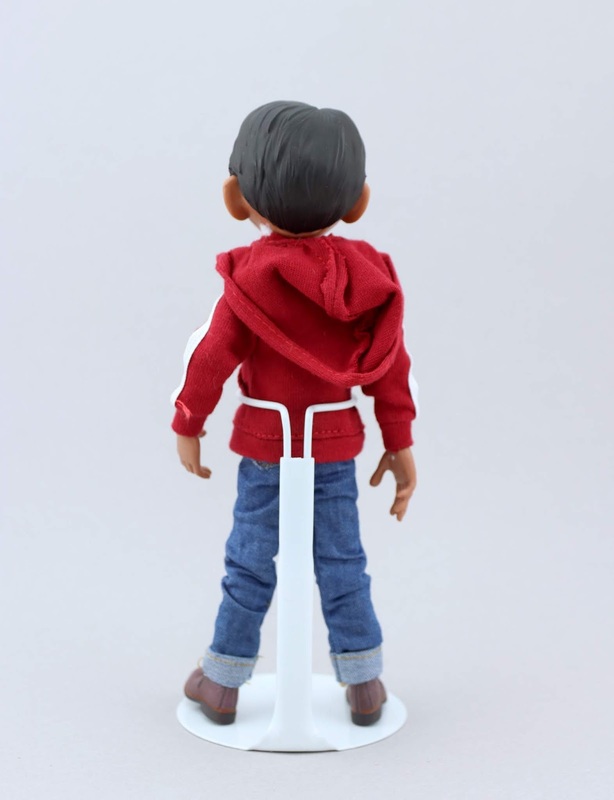 The only other negative aspect of this figure is that his heads are REALLY hard to get on and off. Kids will definitely need help from an adult to make the swap. Other than that, it's a pretty perfect figure with every movie accurate detail you could want. The "real clothes" are pretty remarkable. Here he is loose! So awesome. 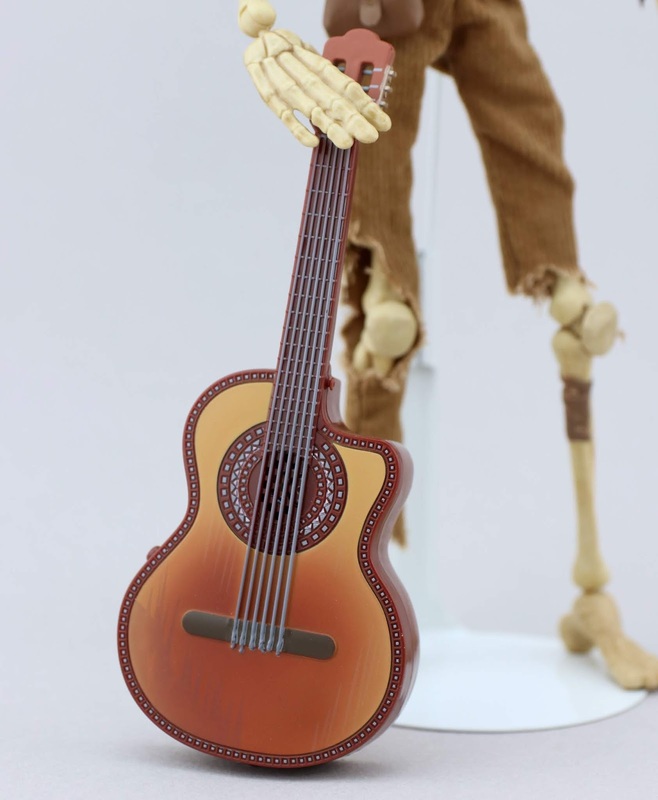 I do wish he and Hector could hold their guitars like they're playing them, but they really can't unless you hold them in place. 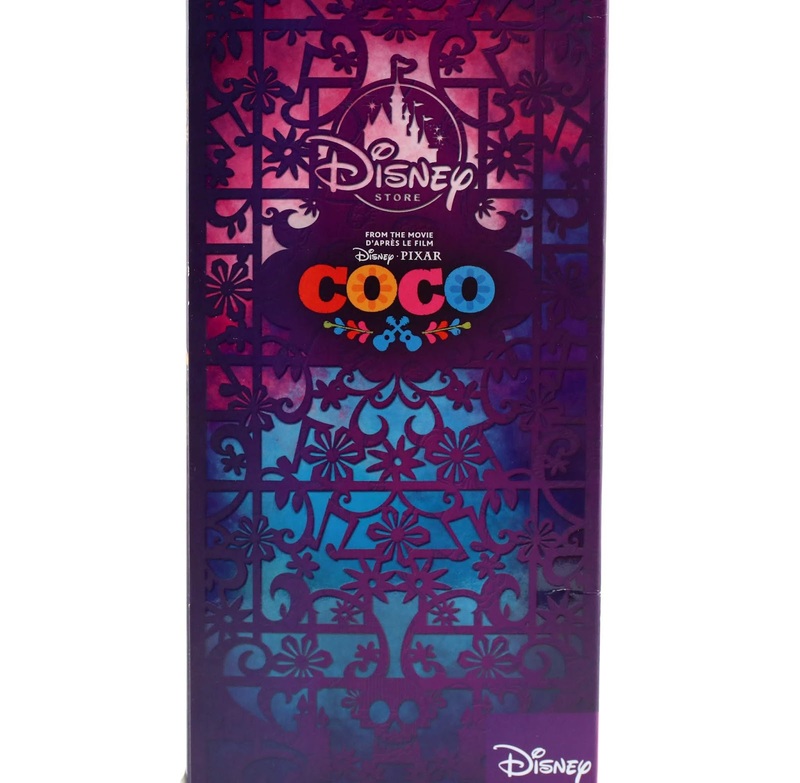 If you're a Coco fan, I cannot recommend getting these enough if you have the chance to purchase them. They're outstanding! I'll put the Amazon links down below if you're interested, but be warned, prices for them are kind of out of control at this point. Who knew?? Let me know your thoughts in the comment section! Did you pick these up? Which one is your fave? I'd love to hear your review as well. 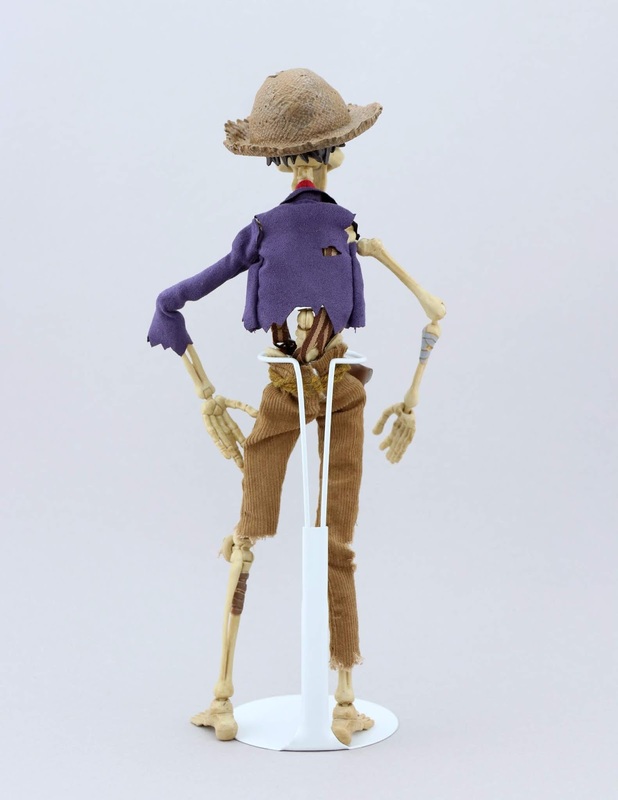 Toy Story 4: Custom DIY "Forky"